Astrophysical and cosmological observations indicate that most of our universe is invisible, composed of dark matter and dark energy. Only about five percent of what is out there is visible to us, such as matter here on Earth or in space as stars. An international group of scientists from seven countries, including Professor Dieter Ries of Johannes Gutenberg University Mainz (JGU), has now made a new contribution to the search for the mysterious dark matter. Their evaluation of data obtained at the Paul Scherrer Institute (PSI) in Switzerland and the Institut Laue-Langevin in France shows that dark matter is most likely not composed of ultralight axions. Axions are hypothetical particles whose existence has not yet been proven. Dark matter accounts for approximately 23 percent of the universe. Its existence was first postulated in the 1930s based on the results of astronomical observations. However, to date no particles have been identified that might constitute dark matter. 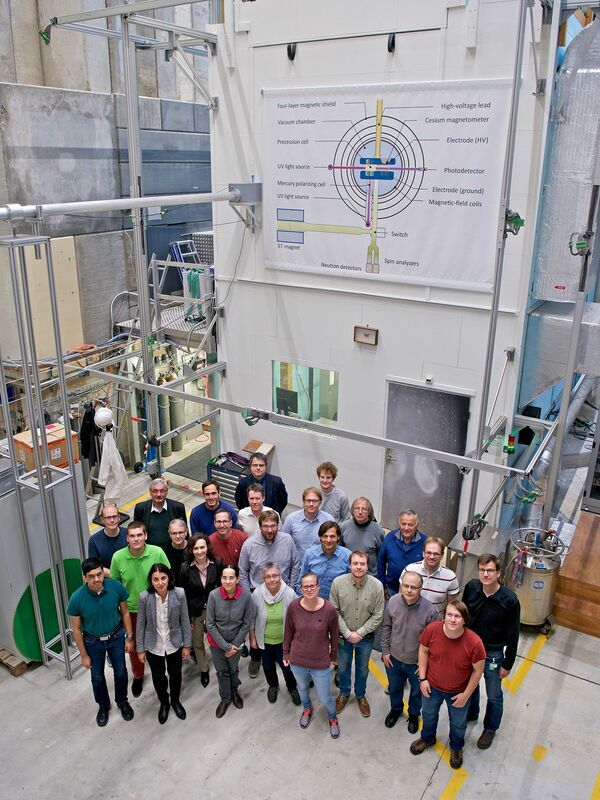 Over the past ten years, the research group at the Paul Scherrer Institute has been taking measurements to determine the electric dipole moment of the neutron. Their data has now also been examined for proof of the existence of axions. "If axions exist in the suspected mass range, we would have almost certainly found evidence for them in our data," said Professor Dieter Ries of the Institute of Nuclear Chemistry at Mainz University. The researchers were looking for the interaction of axions with neutrons, or rather with the gluons that hold the neutrons together within the nucleus. "Instead of searching for a fixed value, we looked for changes in the electric dipole moment at a frequency in the nano- to millihertz range. But we did not find any changes," explained Ries. However, even if nothing was found in the PSI data and in older data from a previous experiment at the Institut Laue-Langevin in Grenoble, the results experimentally limit the mass range in which axions might be detected in the future. Ries points out that in the coming years a new experiment at the Paul Scherrer Institute will be constructed to study ultracold neutrons that — as a by-product — should provide more accurate data to facilitate a renewed search for axions. "Such experiments must be performed under very stable magnetic conditions. Thus, for instance, we are installing a new magnetically shielded room for the new experimental setup." 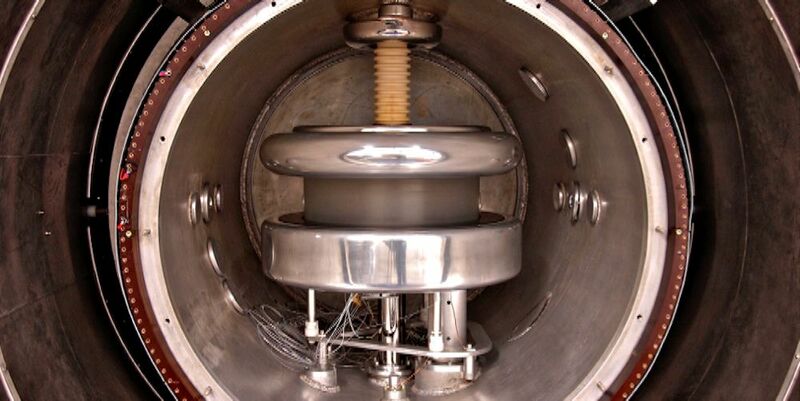 The Institute of Nuclear Chemistry at Mainz University has been working for many years with colleagues at the Paul Scherrer Institute and has provided a major component needed for the experiment to determine the neutron electric dipole moment. The JGU scientists, in particular Professor Dieter Ries, will also be involved in future experiments. Ries has been a junior professor at JGU since October 2017 and undertakes fundamental research with the help of ultracold neutrons and the TRIGA Mainz research reactor. His research focuses on the lifetime of the neutron, which will be investigated using a large-scale experiment that is currently under construction at the Institute of Nuclear Chemistry, and on determining the neutron electric dipole moment in the collaboration established with the PSI. View of the nEDM experiment, surrounded by magnetic shielding and a vacuum tank. For the measurements, ultracold neutrons are repeatedly stored for about three minutes between the two polished high-voltage electrodes. 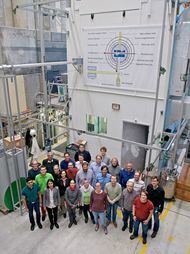 Researchers from seven countries are involved in the experiments to determine the electric dipole moment of the neutron. The data obtained at the PSI research facility has also been used by researchers in their hunt for dark matter.